A novel market that the bookmakers offer on the Premier League is the Season Match Betting market, whereby we can bet on who will finish highest of two selected teams. This offers us an opportunity to have an interest in the Premier League for the rest of the season, besides the usual bets on who will win the league and so on. Several different teams have been paired together by the bookies, and the two that catch the eye are Arsenal and Sunderland to finish above two of the United’s – namely Manchester United and Newcastle United. Arsenal in particular look well worth a punt to finish higher than Manchester United as both go in search of a top four finish. As things stand they are closely matched in the league, and with just a point between them it’s all to play for. Manchester United are currently holding onto 3rd place in the table with 43 points and a +17 goal difference. It’s been another topsy turvy season for the Red Devils, and the fans who thought they may see the return of stability with Louis van Gaal’s appointment after the debacle of the David Moyes period, have been disappointed so far. The early part of the Dutchman’s reign saw some shock results as the players struggled to adapt to his methods. Leicester secured that memorable 5-3 win over United back in September, after coming back from 3-1 down; and MK Dons had already humiliated his side 4-0 when sending them tumbling out of the Capital One Cup. Results have steadily picked up since then though, and Man Utd have worked their way back up to the sort of position you’d expect them to be in – challenging for the top four, if not for the title itself. However, there are still some signs of weakness, and they haven’t been playing with the sort of authority and consummate assurance that they used to exude under Sir Alex Ferguson. That they were held to a 0-0 draw by Cambridge in the FA Cup is shock enough in itself, and they’ve also been beaten recently by Southampton at Old Trafford – something which would have been unheard of just a few seasons ago. Arsenal have also had their problems this season, and the same old arguments seem to rear their head at the Emirates year after year. The accusation is that Arsene Wenger concentrates too much on attacking players, and simply doesn’t have an eye for a good defender or defensive midfielder. That may simplify the issue somewhat, but it can certainly be argued that if Arsenal had a solid base upon which to build their intricate attacking style, they could be every bit as successful as the Barcelona sides they try to emulate. But, just as United have done, Arsenal have come into form over the last couple of months, and 7 wins from ten league games has pushed them up to 5th in the league, with 42 points and a +19 goal difference. That’s just a single point behind United, and with a better goal difference there is very little in it. 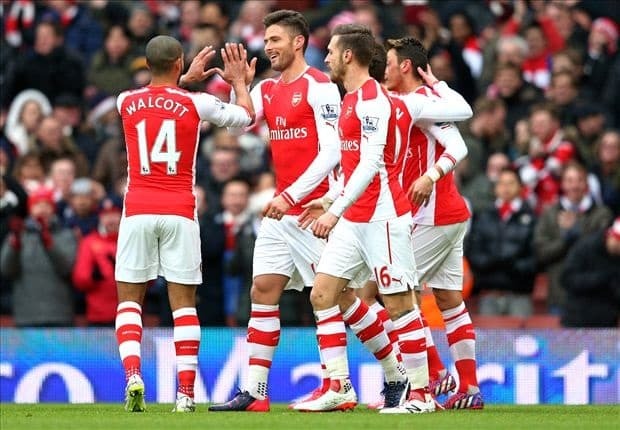 Arsenal thrashed Aston Villa 5-0 this weekend, and that was without their talisman this season – Sanchez. The Chilean international has been a revelation this term, but with the return of Ozil and Giroud, the Gunners are proving that they have a big enough squad to cope without him, and his goals. They will have the Champions League knockout stages as a distraction, but the club have dealt with this for many seasons and always managed to maintain a top four position. Manchester United’s away form has been the real concern this season, and so far from 11 matches on the road they’ve only managed to win three, drawing six and losing two. They have some tough away trips from now until the end of the season, including the likes of West Ham, Swansea, Liverpool, Chelsea and Everton. Arsenal’s fixtures look a little bit kinder for the remainder of the season, and at a price of 1/1 2.00 +100 1.00 1.00 -1.00 they can be backed to finish the higher of the two clubs. The other interesting battle is that of the two North East clubs, Newcastle and Sunderland. This one is a little more of a flyer, but Sunderland look to be coming into form and the acquisition of Jermaine Defoe was a very shrewd move by Gus Poyet. Newcastle, on the other hand, always look like they are one step away from crisis, and the appointment of John Carver and the lack of January investment don’t bode well for the rest of the season. At the moment the Magpies are 11th in the table with 30 points and a goal difference of -6. The Black Cats meanwhile, are 14th in the table with 23 points and a goal difference of -12. They’ll need to make up a seven point gap and reverse the goal difference, but such is the run of games facing Newcastle in the next few weeks, that we think they can do it. Carver’s side have a couple of nice home fixtures coming up against Stoke and Aston Villa, but beyond that it’s tough game after tough game. They face a trip to Crystal Palace to face former manager Alan Pardew, and their run of fixtures also includes Man City, Man Utd, Everton, Arsenal, Sunderland (away), Liverpool, Spurs and Swansea. Those matches will take them up to the end of April, and it’s hard to see them getting many points. Newcastle fans will be pleased that they already have 30 on the board, and they may have a long wait until safety is confirmed. Conversely, Sunderland have just been through a tough patch of fixtures, and have much the easier looking run-in. 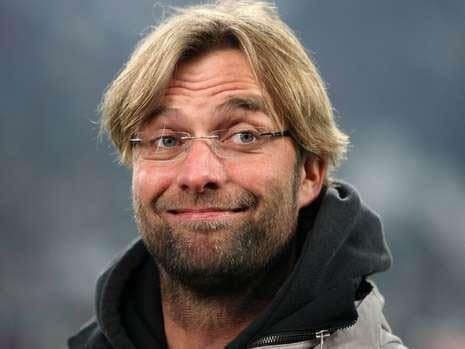 Their previous three games before beating Burnley at the weekend, were against Liverpool, Spurs and Man City. Predictably they lost all three, but with a goal scorer like Jermaine Defoe and an easier run of fixtures, they have every chance of getting some points on the board quickly. During the same period to the end of April, Sunderland will have faced QPR, Swansea, West Brom, Hull, Aston Villa, West Ham, Crystal Palace and Stoke. Their only two really tough games are against Arsenal and Man Utd, but they can be fancied to close that gap on Newcastle significantly by the time we go into the last month of the season.